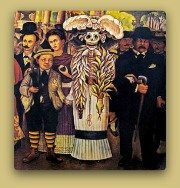 Mexican Folk Painting is as varied as Mexican culture and like many other folk art styles in the country is a blend between Mesoamerican and Spanish cultures. Painting is one of the oldest artistic expressions in Mexican culture. 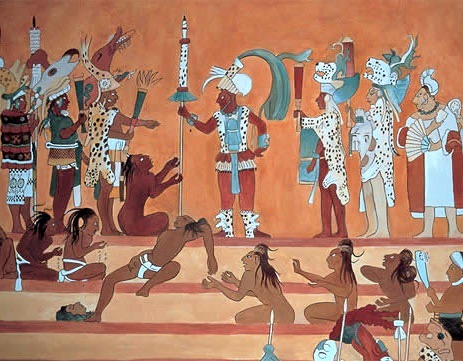 The oldest paintings in the country are the cave paintings located in Baja California. In the Mesoamerican areas painting can be seen in buildings, codices, pottery and clothes. Beautiful remains of Mesoamerican painting can be seen in the murals in Bonampak, Teotihuacan, Cholula and Monte Alban. Mesoamerican Cultures did not develop a complex writing system therefore they used codices filled with images, symbols and hieroglyphics as a way to preserve their History. Mexican Folk painting inherited this Mesoamerican quality; the artistic form goes beyond its aesthetic purposes and becomes a chronicle of the painter culture. After the Spanish conquest, from the 16th to the 19th Century, painting in Mexico developed because of the need to decorate churches and monasteries. Indian painters used European images and prints as a model to their paintings and created a new style called Indian Christian painting. Thousand of religious buildings were decorated by anonymous artists whose styles were very distant from the Spanish baroque. Santa Maria Tonantzintla Church, Puebla. The local Baroque was brightly colored, filled with flowers and fruits. Its human figurines were naïve and there were reminisces of the pre-Hispanic designs and forms. In the 19th Century after the Independence war, Baroque style disappeared and was followed by a dull Neoclassic, but the folk painting did not disappeared. Retablo is an oil painting on zinc, copper, wood or cloth, representing a miracle. 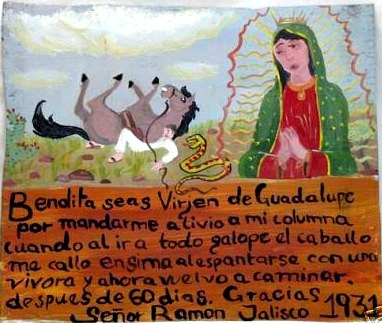 Folk Painters were addressed by somebody that had experience a miracle to paint the event on a retablo, as a gratitude gesture to the saint that had made the miracle. The retablo or ex-voto was hanged in the church next to the saint image. 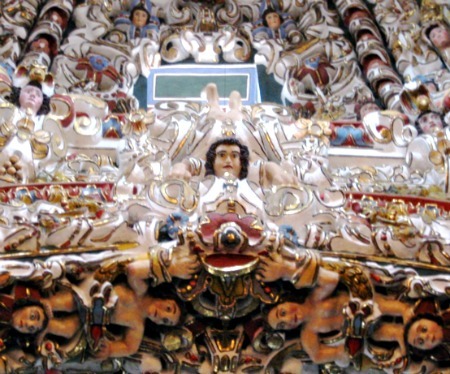 Many churches around the country are filled with retablos. 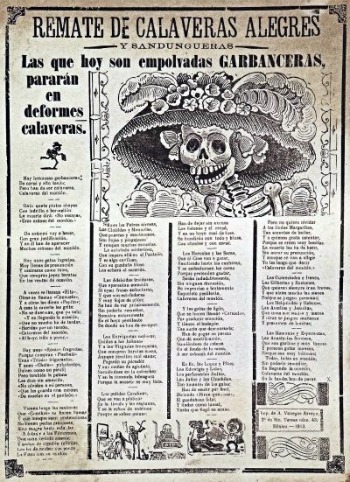 Gabriel Vicente Gahona, Manuel Manilla and José Guadalupe Posada published their prints on newspapers and leaflets. Their illustrations were about common people and their traditions. 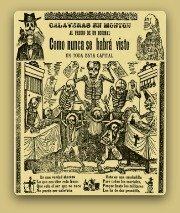 Jose Guadalupe Posada with publisher Venegas Aroyo created The Calaveras, satirical epitaphs about the supposed death of politicians and celebrities. 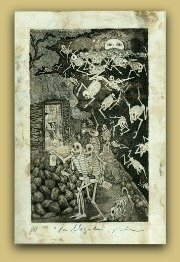 Posada's best known illustration in this style is La Catrina, nowadays and iconic image in Mexico's Day of the Dead celebration. 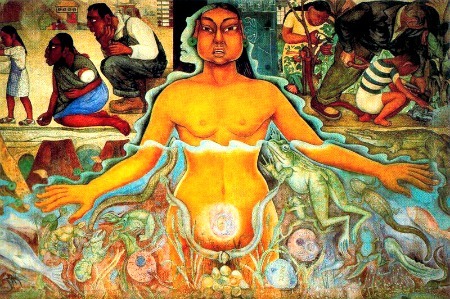 Diego Rivera said that Mexican folk painting was the most important painting style in the country because instinct and genius are present in it without the prejudice that makes the painter imitate the European culture. 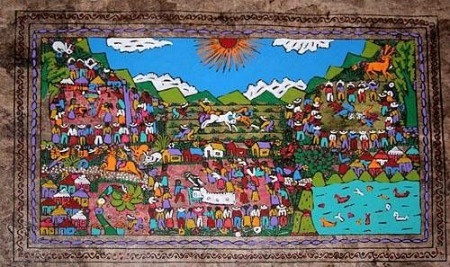 Rivera mural fragment at the Cárcamo de Dolores, Mexico City. 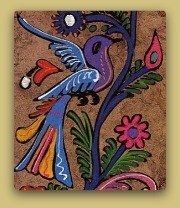 Mexican Folk Painting has a strong tradition hence various painting styles were developed. Like every artistic form these styles evolve, sometimes into different techniques other times into extinction. Barro Pintado or painted clay. 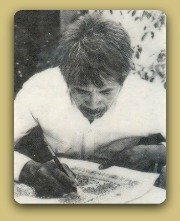 In 1962 Cristino Flores Medina and Pedro de Jesus considered pioneers in the Balsas painting style were introduced to Amate paper. On Amate the Nahuatl paintings evolved from colorful animals and flowers to intricate landscapes and scenes. 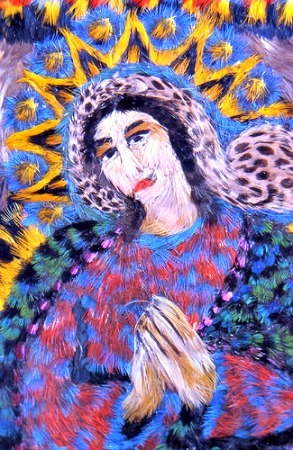 Folk Painters became chroniclers of their culture. From this school arouse internationally known printmaker and painter Nicolas de Jesus. The Huichol people are one of the few indigenous groups in Mexico that preserves their culture intact. 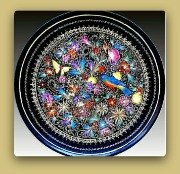 Their artistic work is made for religious and magical purposes and is filled with symbols that have a special meaning like the sun, deer, eagle and snake. Huichol artwork is done on wood planks or gourds varnished with beeswax and decorated with colored yarn or plastic beads, called chaquiras. 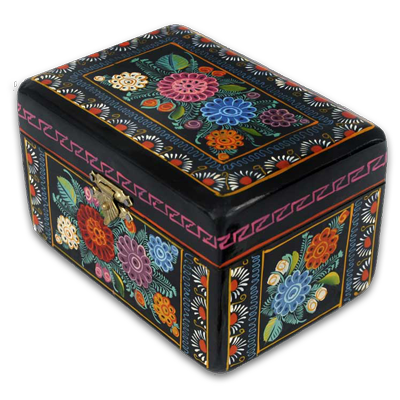 Mexican lacquerware is the name given to the gourds and wooden objects varnished with a hand-prepared mixture that contains soil rich in dolostone and vegetable and animal oils. These pieces are decorated using different techniques such as gold outlined, etching and painting. 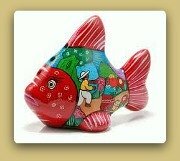 In Olinala the bigger pieces like chests are finely painted with the town's landscape; its streets, churches and houses decorate the outside and inside of the lacquered object. 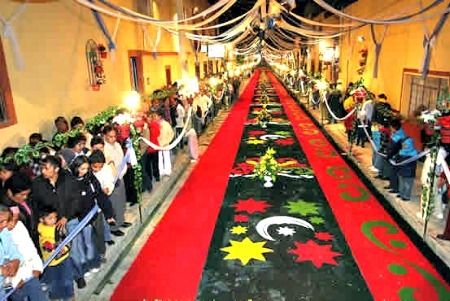 The sawdust and flowers carpets are done in Patron saints celebrations and religious processions on the streets. The whole community takes part in making the religious scenes; some dye the sawdust while others draw the artwork and fill it with flower petals and sawdust. 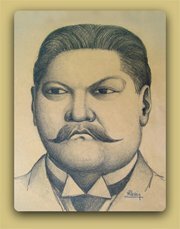 The name popotillo art comes from popote de cambray the Spanish name given to sacaton grass. 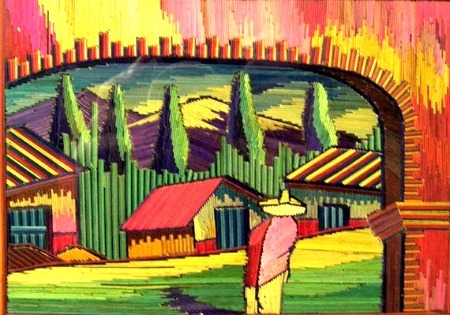 The straws are dyed and carefully applied into a wood plank covered with beeswax forming landscapes, churches, houses or Pre-Hispanic gods among many other themes related to Mexican culture. Popotillo art is made in Mexico City, Michoacan and Jalisco. For Mesoamerican cultures feathers were more precious than gold or silver. They were used as ornaments in clothes and as headdress for royals, warriors and priests. Another use given to feathers is unique in the world, crafters would weave them to create patchworks that represented landscapes. The Feather paintings survived the Spanish conquest but in the last century its making has dwindled. 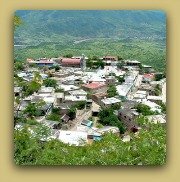 Nowadays only the Olay family from Tlalpujahua, Michoacan preserves this unique tradition.